WE STRIVE TO OFFER THE BEST PRICE AND SERVICE. 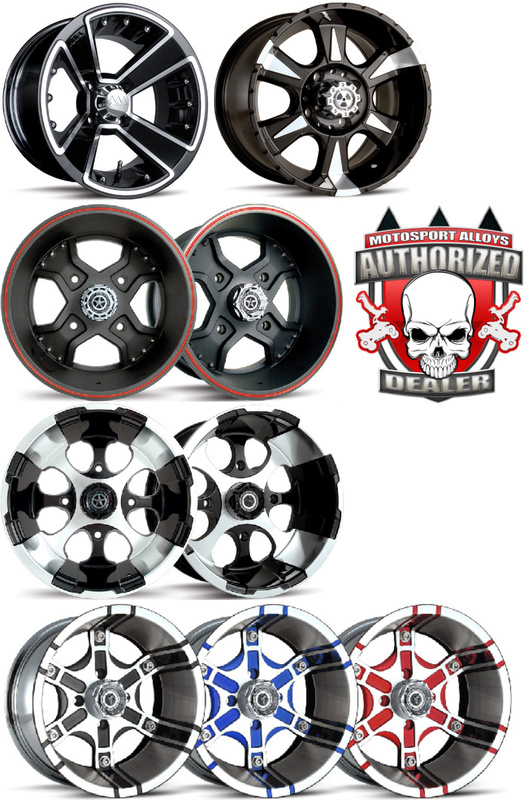 WE STOCK MORE MOTOSPORT ALLOY WHEELS THAN ANY OTHER DEALER EAST OF THE MISSISSIPPI AND WILL DO OUR BEST TO BEAT ANY VERIFIABLE PRICE ON THE SAME PRODUCT, SO GIVE US A CHANCE TO EARN YOUR BUSINESS!! Motosport Alloys now offers a 1 Year Limited Finish Warranty and Lifetime Structural Warranty. If you bend it or break it, they will replace it! Motosport Alloy Diesel Wheel (BLACK) 14 or 15 inch " NOW FREE SHIPPING"